A HEAVY DUTY MACHINE WITH EXTREME DUTY VALUE. This is a heavy duty rotary cutter based very closely on our 15' Flex Wing rotary cutter. The 10.5' however has a wing only on one side instead of on both. It has an exceptionally robust gearbox rated at 250HP for the splitter and 190HP on the wing which is at the extreme duty level for spec comparisons. It boasts industry leading blade overlap and blade tip speeds. It is rated at 4" for diameter cutting capacity which puts it in the heavy/extreme duty category. 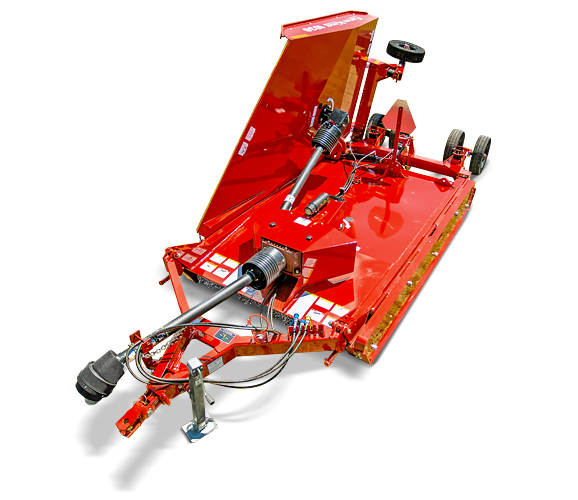 This machine is meant for gently sloping or slightly contoured right of ways, roadsides, pastures or for residue in row crop fields. Farm King Flex-Wing Rotary Cutters are an excellent choice for agricultural, state/provincial or municipal mowing applications.